I finally decided to get an Anet A8 3D printer which complements my other CNC machines, the router and hot-wire foam cutter. It’s basically a copy of the Prusa i3 which cost a lot more. I’ve had mine sometime now and its one of those tools I don’t use all the time but when I need it its invaluable. When you buy ARTF models it’s often quite hard to get any spares for them or if you can they charge silly money with packaging. 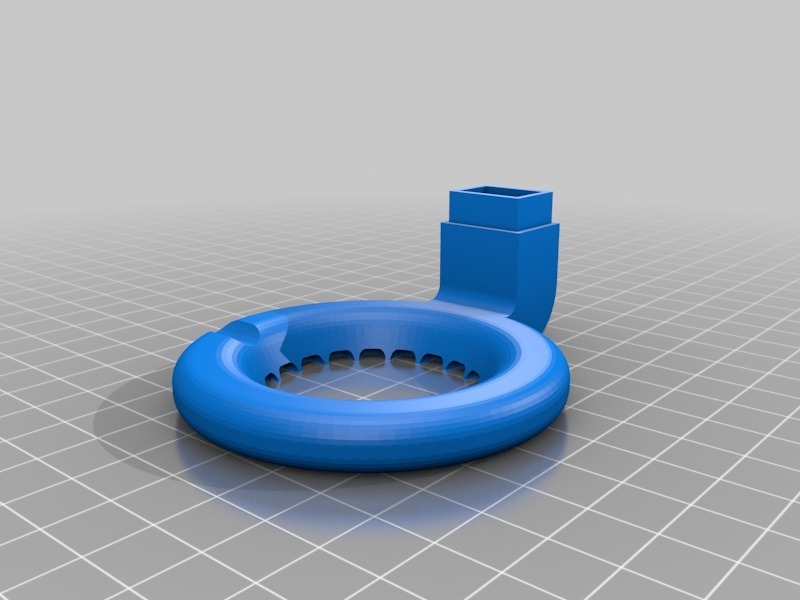 So for me, the best thing about a 3d printer is making those hard to source parts or something that you can’t buy. There are thousands of prints you can download and usually, somebody has already designed it and its free in most cases. I purchased mine from direct from GearBest a Chinese reseller and ordered it with the auto-level sensor and a roll of PLA filament. Took about 4 weeks to arrive on a slow boat from China. Looks a little daunting at first with all the parts but the assembly videos are quite good and I had it running without any issues, but not with the auto level sensor. I wanted to get it working as standard. 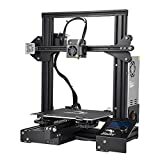 There is good support for the Anet A8 3D printer on Facebook and on YouTube. The price is coming down on these now and they are very affordable. 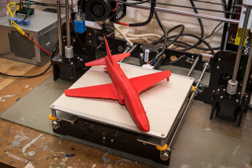 I’ve added a few mods to mine and its ideal for making parts for my Radio Controlled planes that are difficult to source. 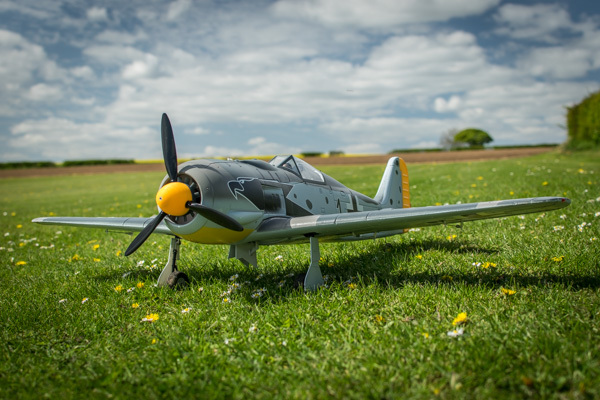 I’ve made propeller spinners, exhaust stacks for Merlin V12 engines, a BAE Hawk for my grandson and tail rotor for a Tri-copter, just to name a few. 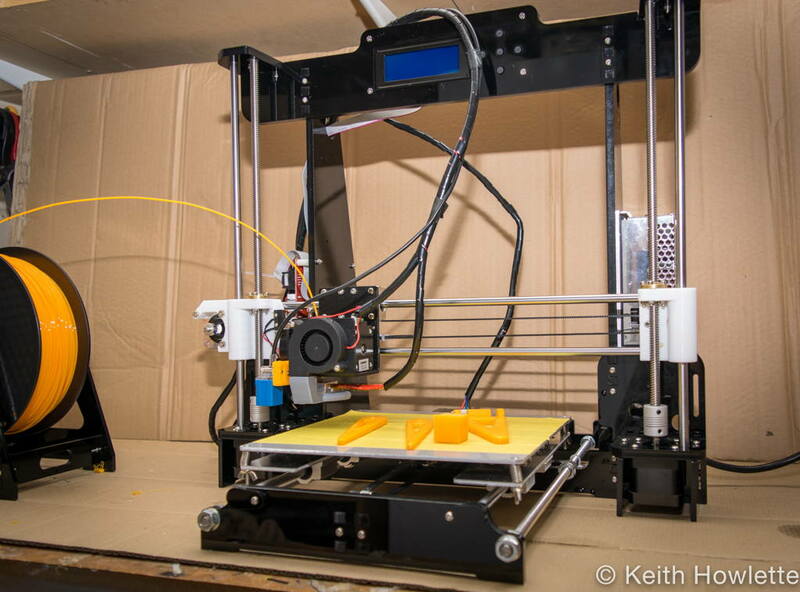 There are many modifications you can make to the Anet A8 to improve its results. But to be honest the first print I made with the standard machine was very good. 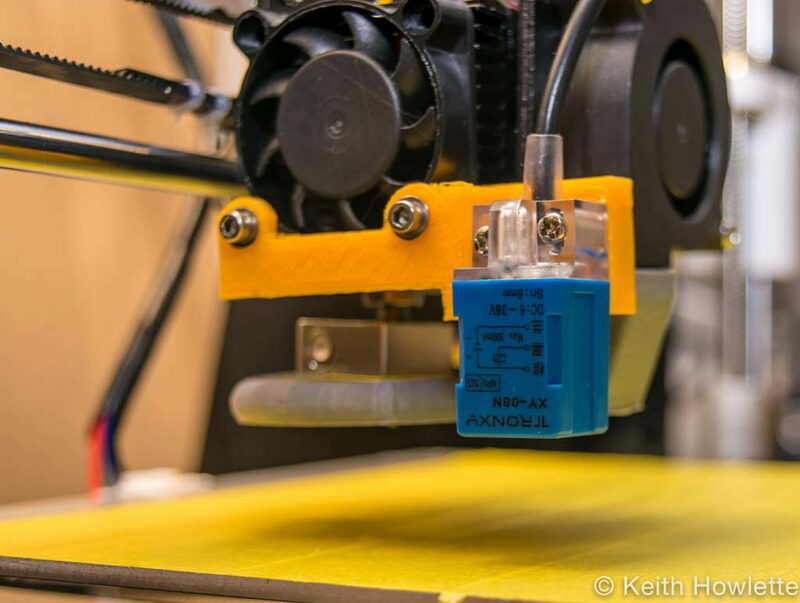 The first modification was to print a new cooling nozzle, this replaces the original and cools all around the extruder. I ordered the auto bed level sensor with the printer and this picture below is what sent. Keeping the hotbed level is important to get good prints and can be very fiddly and time-consuming. The auto-level sensor with the Skynet firmware installed on the controller board measures the bed before the print and compensates for out of level on the bed. The first time I plugged the auto-level sensor in the LCD on the printer wouldn’t light up. Unplugged and it worked fine. Anyway, after much Googling, I found out the sensor was supplied wired incorrectly. The blue and brown wire need to be swapped. For the money, the Anet A8 is very good. 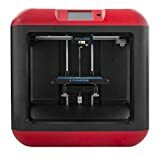 Update 2018 I don’t use the auto-level anymore it was never very good and I just check the level before each printing session. I did have some issues with the amount of play on the linear bearings and printed some new ones which removed nearly all the play. The video below shows the issue. I upgraded all the linear bearings including the Y-axis with Drylin bearings which are very quiet and eliminated all the play. Would I buy an Anet A8 again? Yes if my budget was limited then absolutely, as I type this post its printing a beany hat mount for my GoPro Session camera that I use to film my exploits at the flying field. For the money you can’t go wrong, I wouldn’t bother with the auto level sensor in fact mines disconnected now. I just check the level before a printing session. I now print on a glass bed mostly with PLA at 205 degrees on the nozzle and 70 degrees on the bed, needs to be a bit warmer with the glass on. Any lower and it doesn’t stick too well.